You will need your login name and password to download the files. Your login name is the e-mail address that was used when the product was ordered. If you have forgotten your password you can request that it be e-mailed to you at your e-mail address. We assume that the user knows how to download files, execute a self extracting zip program, and have licensed copies of WORD if the user purchases the WORD version of our products. For adobe the user can obtain a free reader from www.adobe.com. All of our products have been created and tested using Microsoft Office and Adobe Professional. If the user has older versions of that software it is their responsibility to get conversion software to use the products purchased. 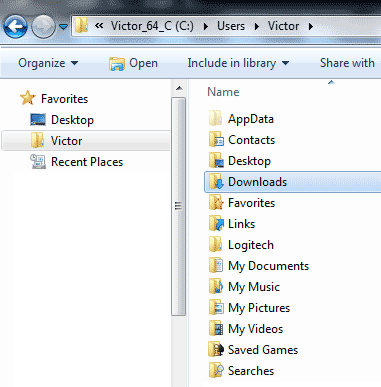 The files that you download are self extracting zip files. When the program is executed on a PC they are extracted by default to C:/Janco. The self extracting zip files are guaranteed to be VIRUS FREE and contain NO ADWARE. NOTE - Some virus checkers and malware protection programs, do not allow you to download .exe files. In those cases, for the download and extraction process turn those programs and checks off. Send you a “*.zip” that you use on the Mac or other OS - that requires that you have a program that can unzip the file in that OS. The reason that we have put the files in Windows self-extracting format is that way the user does not need to own a copy of the unzip program. In addition we can tell the user where the files are extracted to. NOTE - his option assumes that your mail server lets you receive .zip files as an attachment - many corporate mail servers BLOCK those attachments. We can send you “.docx” files the same note applies about the mail server or MS Outlook allowing those file types as attachments. Unfortunately, if you chose that option you may or may NOT receive supporting materials in xlm, pdf, docx, or epub formats. We can put the extracted versions of the files on our secure private cloud server and provide you with a link to the download of the unzipped files. You can provide us with a link to YOUR FTP site and we will upload the un-zipped files there. Because of PCI compliance requirements we cannot have FTP on any of our other servers. If you have any problems please send an e-mail by clicking e-mail at: Contact e-janco.com. Please read the instructions below before you contact us. You are allowed the ability to download the files five (5) times within 30 days of purchase. After that the system does not allow you to download it any more. If you need to get any additional downloads you will have to purchase our update service which will provide an un-limited number of downloads for typically twelve (12) months. When you double click on the file that has been downloaded, all of the documents will be extracted to a directory on your C: Drive in a sub-directory called Janco (i.e. C:/Janco/Disaster Recovery). Windows - If you have not changed your default download location.